There is hardly anybody who doesn’t love beauty. Only stupids don’t. We all love living in a beautiful house, want to have a beautiful car and so. But what matters is the inner beauty. You will hate living in a hotel with a beautiful exterior but an inferior interior. No, I am not here to give any philosophical lecture but will discuss the latest trend of putting a notch in all the smartphones under the sun, following so-called Apple’s footsteps. In the recent times, we have all seen a number of mid-range and flagship smartphones with notches, and in most cases, the notch is nothing more than just following the trend. But does the notch make any sense? Today we will discuss it in this article. Before proceeding with additional facts about the use of notch in smartphones, let’s talk about the first smartphone that featured a notch. No, it isn’t the Apple iPhone X, which featured the notch for the first time. The first smartphone with a notch dates back to August 2017, a month before Apple iPhone X was announced. It was the Essential Phone 1. Well, apart from the notch, Apple wasn’t even the first company to feature a fingerprint sensor. The first smartphone with a fingerprint sensor was the Motorola Atrix. Let’s keep the subject of fingerprint aside at present. 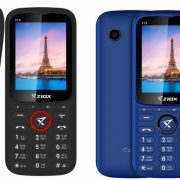 Well, the most smartphone today come with notches, and it seems to be widely accepted by customers, as it gives a sleek and handy look to the smartphones. When all smartphones come with a common form factor nowadays, using a notch seems to be something different from the usual build. Yes, a half-boiled iPhone X like feel, at a price far cheaper than it. Well, if you think, most companies are taking the inspiration of the notch from the Essential Phone, you are wrong. Apple might have silently taken the inspiration from the Essential Phone, and other smartphones of the Android family are following Apple iPhone X. Looking at the similarity of the notch in iPhone X and some popular smartphones like Vivo V9, Nokia 6.1 Plus, OnePlus 6, Oppo Realme 2 will make things evident to you. Well, inspiration is good. But blindly copying things without any proper reasons behind it, hardly make any sense. Now let’s find out the importance of the notch in a smartphone. Well, now let’s find out its importance. Talking about the iPhone X, there is a Face ID, a Touch ID replacement below the notch apart from the speaker and the front-facing camera. Now the size of the Face ID being a little bigger, it makes a little bit of sense to introduce the notch. Well, Apple obviously had additional solutions. They could have removed the display area on the sides of the notch. There was actually a mixed reaction about the introduction of the notch. Many people hated the way, the display was affected by the notch at the time of watching videos and playing games. But there are others, who loved that extra space around the notch that gave iPhone X a futuristic look. But talking about Android smartphones embracing the notch, there’s no real importance of it as the manufacturers are doing nothing other than applying a cut out around the display. It still houses the same hardware, as it used to, before the introduction of the notch. The front camera, the speaker, and the proximity sensor. The manufacturers could have been managed even without the notch just like the smartphones manufactured before iPhone X was manufactured. But there are very few smartphones, where there are real Face IDs, which work pretty similar to iPhone X and in such cases, notches can make some sense. The companies today are introducing notches in their smartphones just because a few customers want it. When Vivo V9 was launched, which seems to be the first smartphone in India with a notch, a salesman told me, Vivo V9 is the smartphone, which customers can go for if they can’t afford an expensive iPhone X. Great! Does that even make any sense! Though Android P has display enhancement for the notch, that is just because a few companies actually want it. 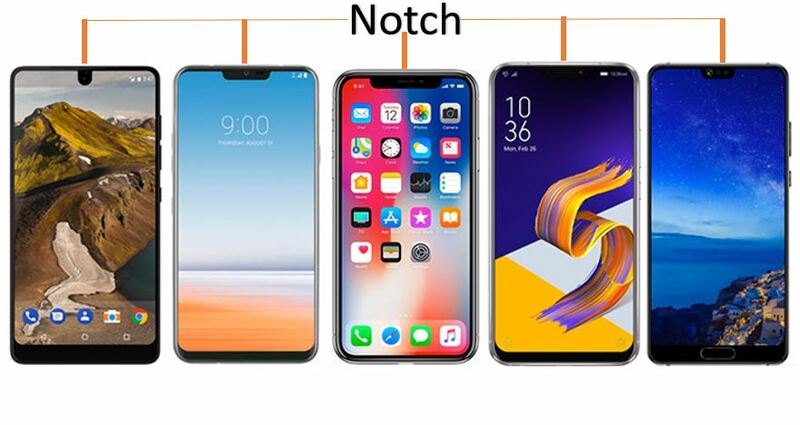 Notch is no way a new technology but is just a short-lived trend, which is likely to vanish in the next few months. Moreover, most smartphones even with notches, come with bezels, though slim, around it, along with a chin for free. If there are bezels already, and a chin, I just can’t understand the true importance of notches in such smartphones. Take a look at the Vivo V9, Oppo Realme 2, etc. where there have bezels, a chin, and the useless notch. It actually ruins the overall beauty of the phone. But after all, it is an inspiration from Apple. Sorry, for being sarcastic. The market strategy is pretty simple. 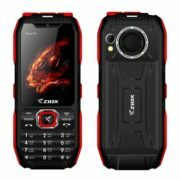 It is all about targeting those users looking for a so-called beautiful smartphone. But all smartphones with a notch is not always beautiful. 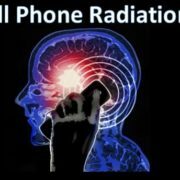 The companies previously used to fool users through numerous ways, sometimes with a higher megapixel selfie camera, or a smartphone with 4-6 Gigabytes of RAM, and that too without a mighty processor, which cost extra. Now, the companies are saying, ‘Our smartphones have a notch’, and there are indeed some customers who are running madly behind it. I just want a smartphone with very slim bezels and obviously, that should feature a notch, unless necessary. Mi Mix or Mi Mix 2 for example. In simple words, the notch is a big hype for companies who always look out for new marketing strategies without investing a decent amount for the actual product. Whenever you are going to purchase a smartphone, pay importance to the things that actually matter to you. The camera, the battery, the SoC are the things that really matter. Well, if you are looking for a fancy little smartphone, your priorities can be different though. I am not at all against the notch culture. If the notch really make sense in smartphones, and you do not need to pay a premium for it, go for a smartphone with a notch. But yes, look at the specs and decide whether it is going to be a value for money product or not. 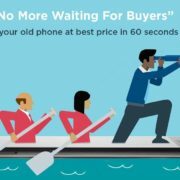 Just be a cautious buyer, when it comes to smartphones, as there are companies which just want your money without giving you something sensible in return. Excellent piece, a well-crafted and in-depth thought.